Police agencies across the United States have been warned by the US Department of Homeland Security (DHS) about the possibility of attacks being carried out with unmanned aerial vehicles or aircraft systems (UAV/UAS). “The rising trend in UAS incidents within the National Airspace System will continue, as UAS gain wider appeal with recreational users and commercial applications,” says a DHS intelligence assessment that went out Friday and was seen by CBS news. 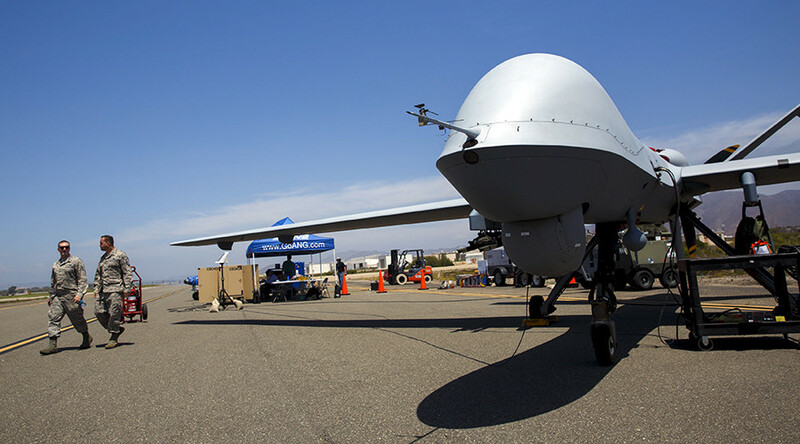 “Adversaries could use UAS to advance terrorist and criminal activities… Unmanned Aircraft Systems present detection and disruption challenges,” it adds. Along with terrorist organizations and domestic terrorists, drones could be used by violent extremists, lone operatives, and drug trafficking organizations, according to the DHS bulletin. It also emphasizes that “potential security vulnerabilities,” which could be exploited by using UAS, are underestimated. Experts believe that drones are capable of carrying chemical weapons and guns. The paper does not, however, warn of specific threats, but rather highlights the challenges posed by drones. Intelligence bulletins have been prepared almost every week in the wake of rising threats from Islamic State (IS, formerly ISIS/ISIL) sympathizers. However, drones have not been their usual topic. Drone use in the US has risen to such an extent that UAVs have become intrusive – as in California where they were said to be hampering firefighting efforts. As a result, Rep. Adam Schiff (D-California) has asked the Federal Aviation Administration to consider creating rules to block drones from flying in areas where firefighters are carrying out operations, especially those involving wildfires.